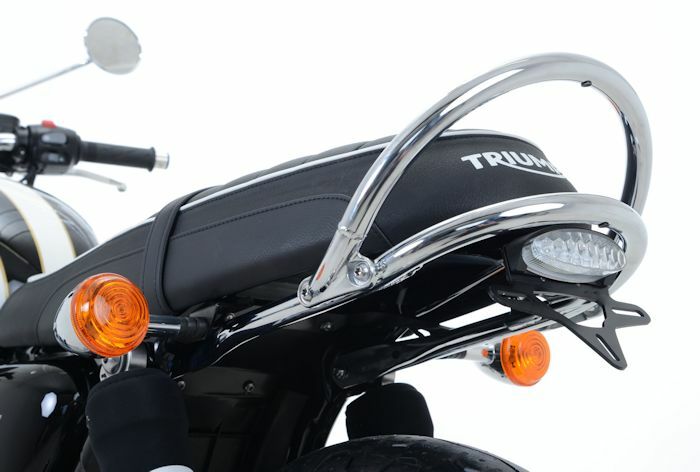 Purchase this product now and earn 238 NewBonneville Bucks! 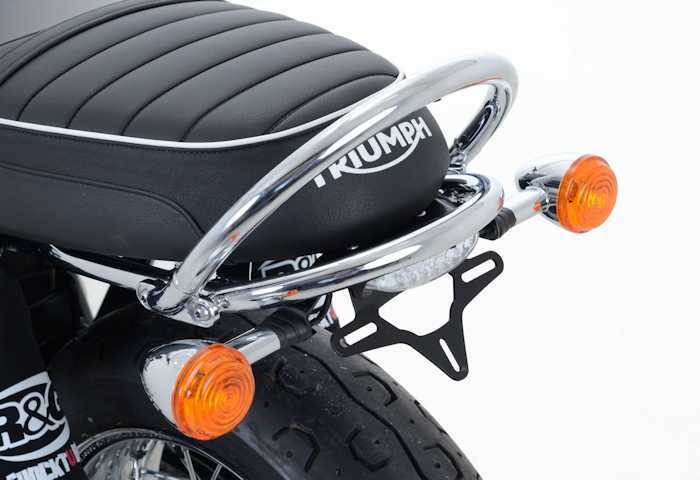 Radically tidy up the rear end of the Triumph Bonneville T-120 models with this R&G Tail Tidy. 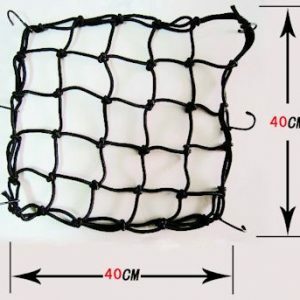 Its stainless steel and matte black powder coated construction and design ensures long lasting durability and performance. 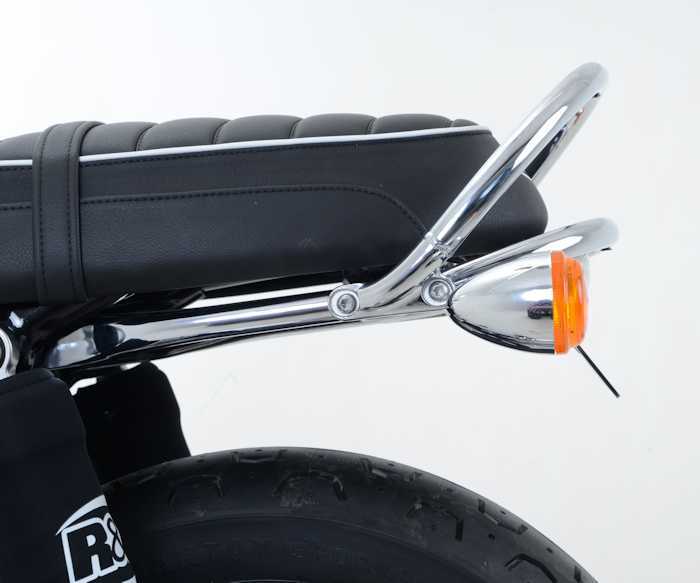 R&G tail tidy unit is easy to fit and will radically transform the rear end of the bike, removing the expansive (and often ugly!) 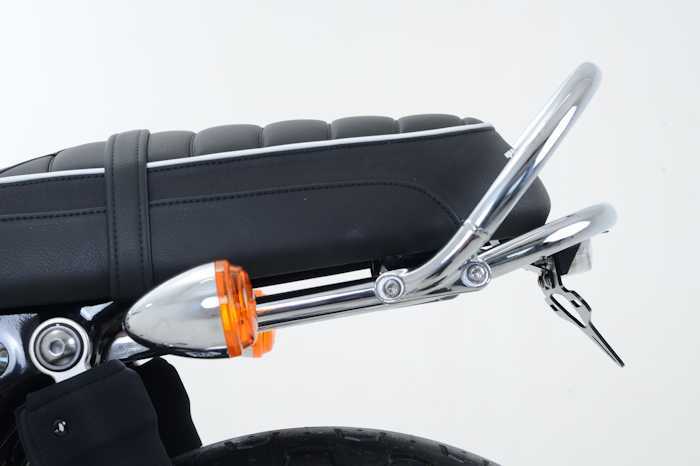 OEM licence plate holders – replacing them with a much sleeker looking unit, tucking the number plate underneath the rear seat unit, for a much more stylish sporty look. 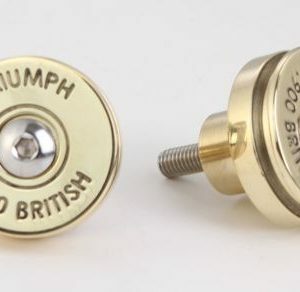 Additionally, the Triumph Bonneville T-120 Tail Tidy also includes 2 indicator adapters, allowing the customer two options when it comes to mounting indicators, either in the standard position (alongside the number plate) or further forwards next to the shock absorbers for a clean and more retro look. 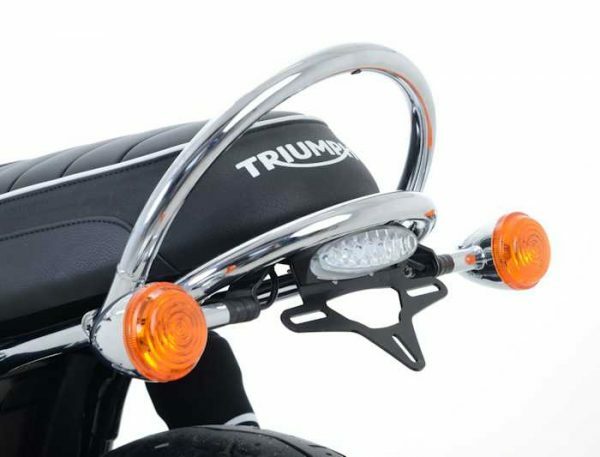 Compatible with the Triumph Bonneville T-120 models, this R&G tail tidy is bolstered with its out of the box “plug-and-play” wiring connectors allowing for a seamless installation, plus includes out-of-the-box compatibility with both OEM indicators or aftermarket (8mm) micro/mini indicators thanks to the included adapter plates.